Interested candidates can check all the details of KLUEEE 2019 like application form, eligibility criteria, counselling procedure etc. from this page give below. 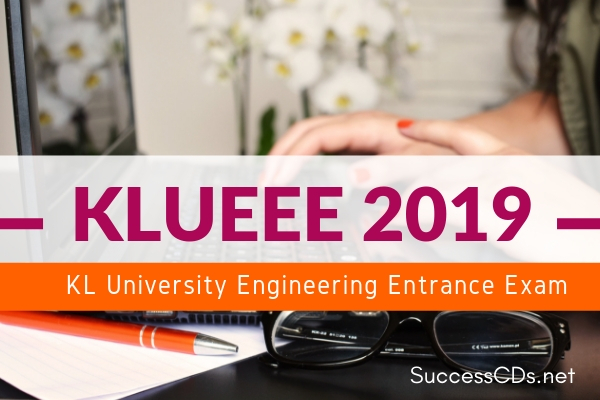 KLUEEE 2019 will be conducted for the admission of candidates to the Undergraduate Engineering Degree Programs offered by the Institute. The KLUEEE 2019 is scheduled to be conducted in both online and offline mode. The KLUEEE 2019 Exam will be conducted on 24th April 2019 in Offline mode and 26th - 30th April 2019 in Online mode. 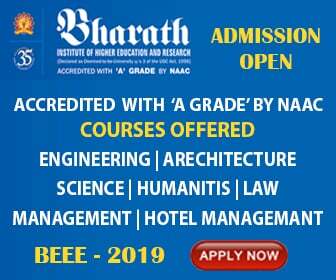 Candidates have to be successful in KLUEEE (KL Engineering Entrance Examination)/ JEE-Main/ JEE-Advanced/State Level Engineering Entrance Exams across India including EAMCET and Merit in Sports/Cultural Activities. K L Deemed to be University reserves the right to alter any of the above norms. The online application form has been available on the official website (www.kluniversity.in) of the University. However, the application form can also be obtained in person from KLU Campus or by post. DD should be drawn for Rs. 1100/- in favor of K L University payable at Vijayawada on any scheduled bank and sent to - The Director, Admissions, K L Deemed to be University, 29-36-38, Museum Road, Governorpet, Vijayawada-520002.